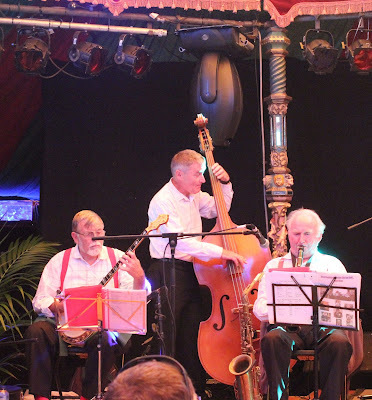 We'd be pleased to quote you for your special function...wedding, birthday party, funeral wake, concert.....from three piece to seven piece band. 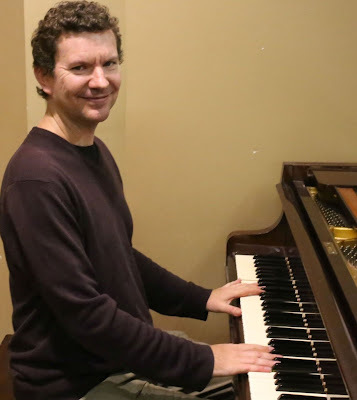 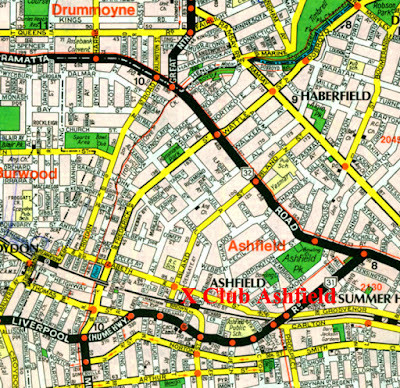 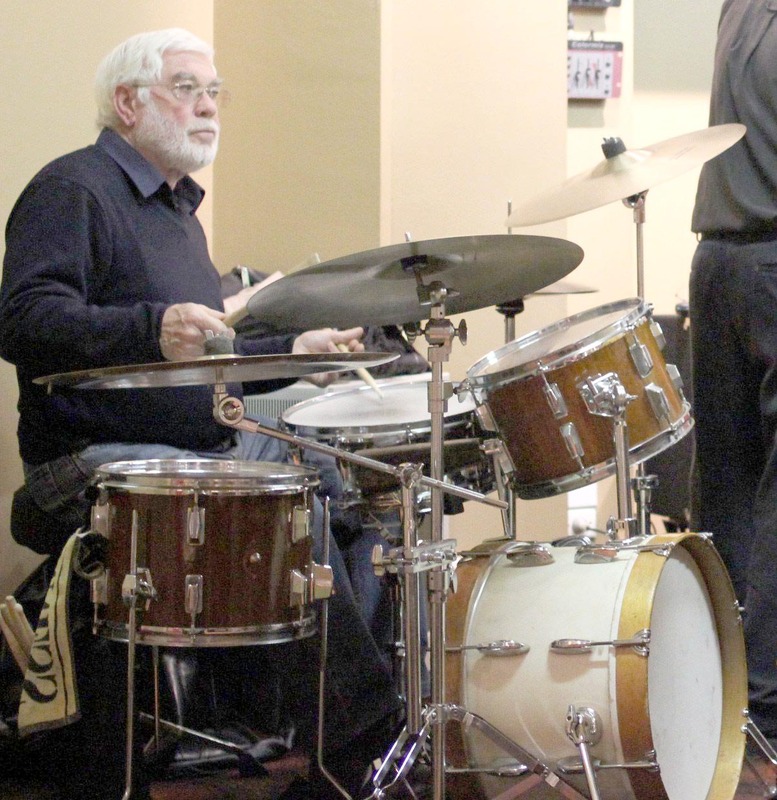 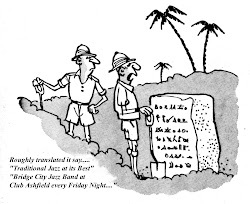 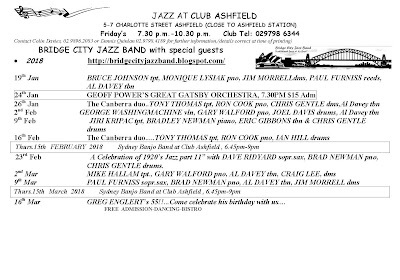 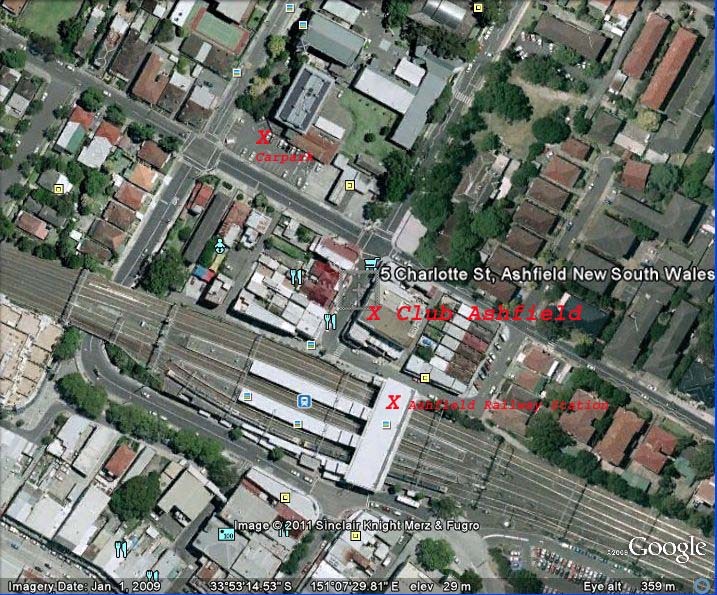 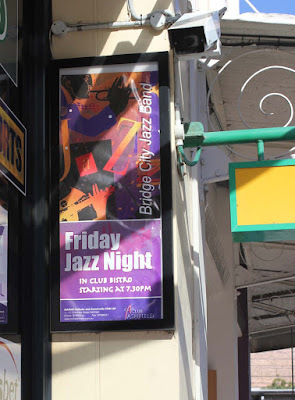 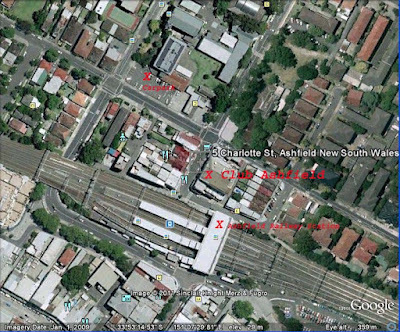 The Bridge City Jazz Band formed in July 2003, initially to continue a residency at Club Ashfield, Charlotte Street, Ashfield a suburb of Sydney, playing Friday evenings 7.30pm to 10.30pm. 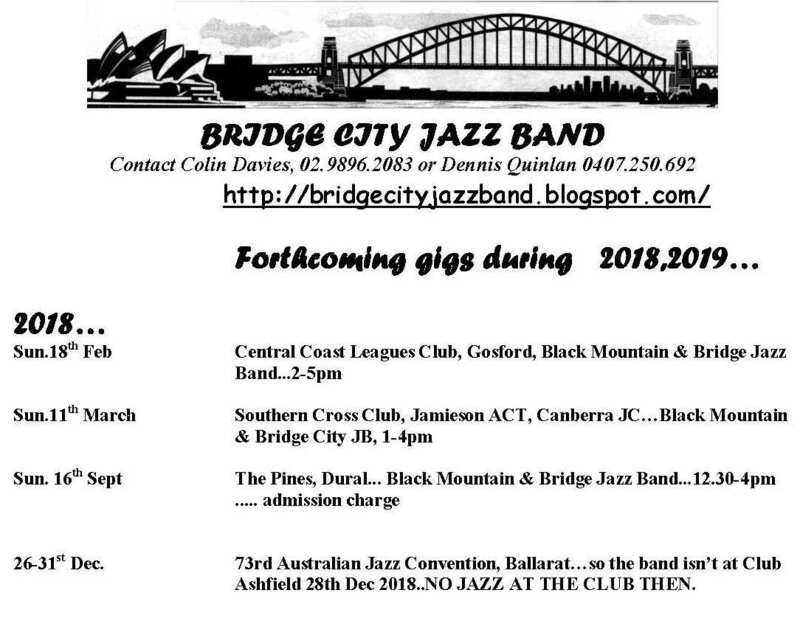 Since then it plays across Australia. 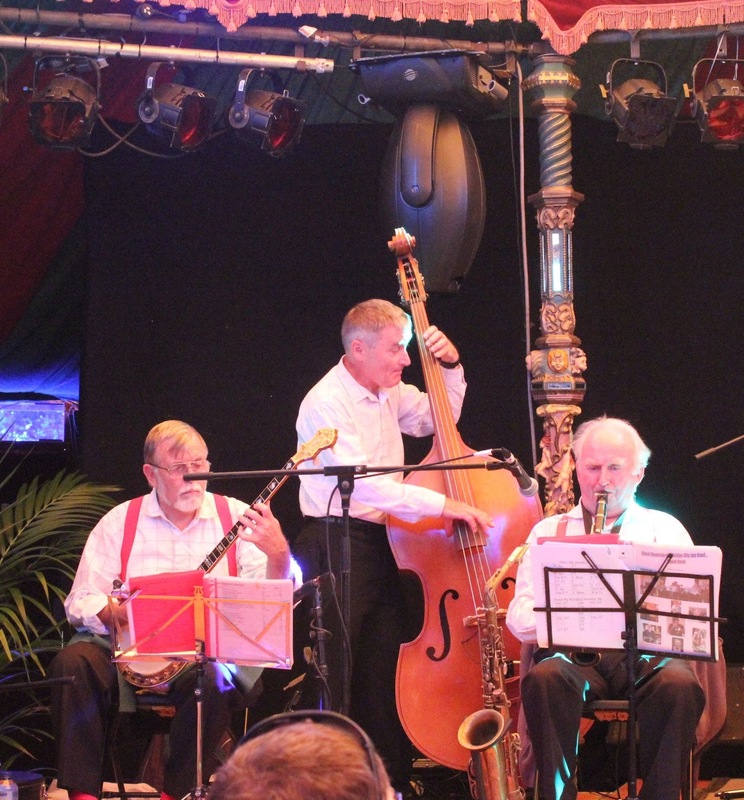 Initially starting as a 5 piece group due to efforts by its (then) drummer, Jim Morrell, bass player Colin Davies and banjo player Dennis Quinlan, and following the retirement of Jim Morrell it is currently run by Colin Davies and Dennis Quinlan with Colin Beal as its reed player and John Bates its trombone player and vocalist. 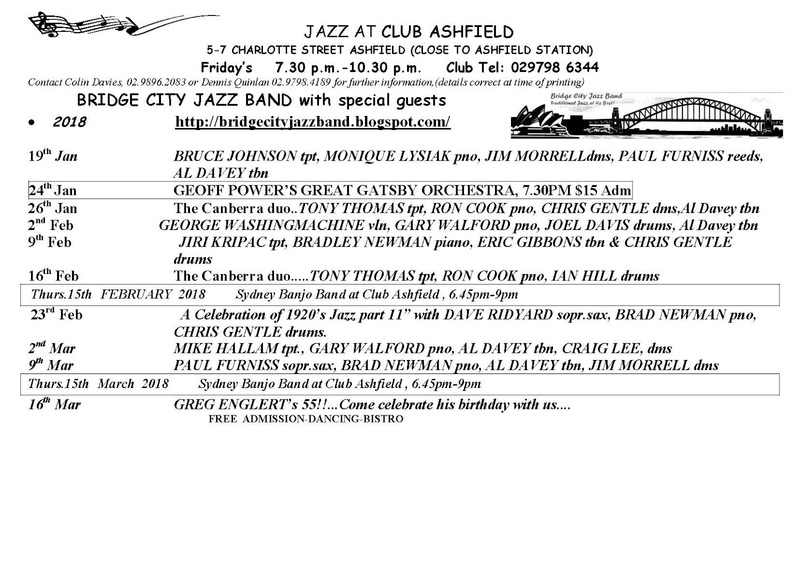 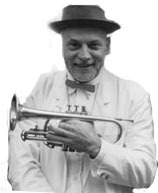 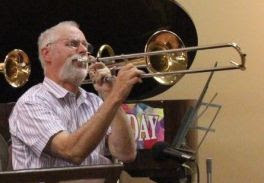 So the group is currently a quartet, playing as such in outside jobs and hiring when required and each Friday night for the Club Ashfield gig, a trumpet lead, pianist and drummer from a select group of top traditional jazz players from as far north as Newcastle and south as Canberra, making a 7 piece traditional jazz band. 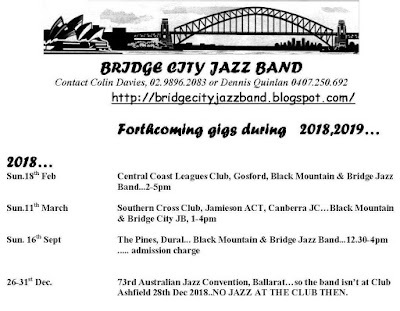 In fact the only 7 piece JB playing on a regular basis in the Sydney area. 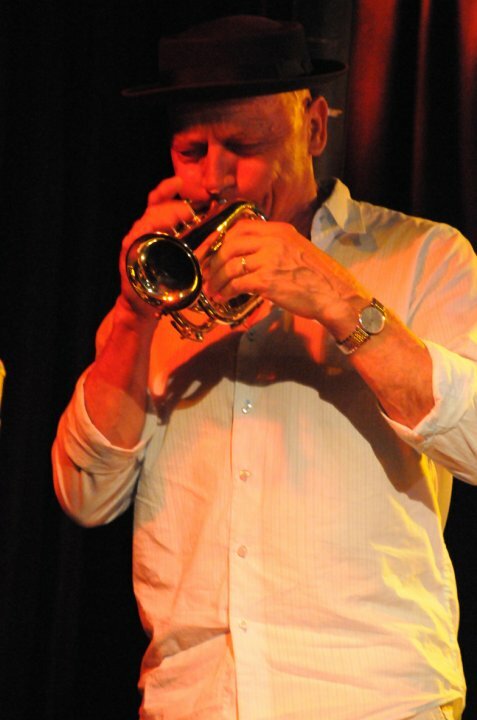 Many of the outside gigs are done in combination with the now defunct Canberra based Black Mountain JB, using the BM's trumpet lead, Tony Thomas, pianist Ron Cook and drummer Ian Hill.